VA Aid & Attendance: Why Does The VA Want To Know My Income? VA Aid & Attendance: Why Does The VA Want My Income As I Apply For This Benefit? You must have a certain level of income to qualify for the special pension or VA “aid & attendance” benefits for wartime veterans. This is why the VA wants to know your income as you apply for this benefit. But how you calculate your amount of income may be a bit surprising to you. If someone asks you “What is your income?” you would simply tell them the amount of money that you have coming in. Whether it is from work or social security or IRA distributions, etc. But the VA looks at income for “Aid & Attendance” benefits a bit differently. The VA looks at IVAP — Income for VA Purposes. IVAP is your gross income (before any deductions or with-holdings) minus your unreimbursed medical expenses (“UME”). 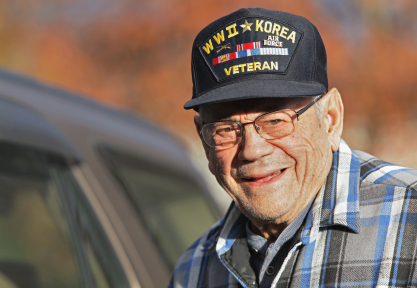 Every dollar of IVAP is a dollar you lose of the VA benefit which can be over $2,000 a month. Let’s say you bring in $3,000 a month in income. That’s more than the amount of the Aid and Attendance so you would not get any of this VA benefit. But, we need to look at IVAP, not just your gross income. IVAP is gross income minus unreimbursed medical expenses. So let’s say you are in an assisted living facility which costs $3,500 a month. This will cause your IVAP to be negative $500. $3000 minus $3500 equals negative $500. (It is slightly more complicated than this but this will give you the general idea). So you will qualify for the full benefits assuming you meet the other qualifications. We will talk more in another article about exactly what makes up “unreimbursed medical expenses” but for now we just want to get the basic concept down that IVAP is not just our gross amount of income. It is gross income minus our medical expenses that we pay out of pocket. If you, or a loved one, is a veteran in Alabama and you have a question about this amazing benefit, give us a call at 205-879-2447 or fill out our contact form and we can set up a call or a meeting.